After the announcement of World of Warcraft‘s next expansion, Legion, there’s been a lot of talk about the fantasy and flavor aspects of playing various classes. What it means to play a class means very different things to different people. Apparently, some people still really cling to the fantasy of a melee hunter, so much so that the dev team is tentatively making the Survival spec Artifact weapon a melee one. As someone who played a hunter pretty extensively in vanilla, this is beyond odd to me. 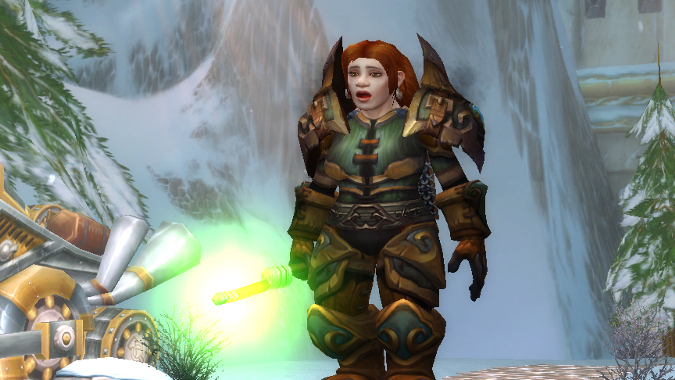 I get that people like the flavor of having an in-your-face melee hunter, but even after stealing some nice spears from feral Druids those Raptor Strikes were just so crappy it’s hard to conceive why somebody would do that to themselves. But then I think about my favorite characters to play in Heroes of the Storm and I get it, a little. Sgt. Hammer has always been one of my favorites to play. Standing really far back and assaulting towers or killing opposing heroes before they can get in range is a lot of fun to me. The thing is, I know regardless of how well I’m playing, if we fall behind I’m going to get blamed for that by somebody raging in chat. Hammer is so bad! Why would you pick her? I usually only play her in AI mode, because I don’t feel like dealing with that. I’ve also recently started really getting into Abathur, but now that he’s on free rotation, he’s banished to casual AI games for the foreseeable future. My daughter goes the opposite direction when she plays Hearthstone. She loves Leeroy Jenkins and she puts him in every deck. She’ll even toss the first draw if he doesn’t show up. She’s four, so that’s about the apex of her competitive ability, but she knows what she likes, and she likes to yell along with him, meta be damned. Is there a class, hero, card, or ability you love that it seems like nobody else can get behind? How do you deal with your favorite that everyone else thinks is terrible?